Maurice Merleau-Ponty is one of the few major phenomenologists to engage extensively with empirical research in the sciences, and the only one to examine child psychology with rigor and in such depth. His writings have recently become increasingly influential, as the findings of psychology and cognitive science inform and are informed by phenomenological inquiry. 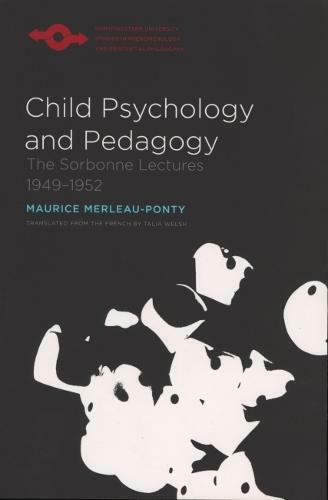 Merleau-Ponty's Sorbonne lectures of 1949 to 1952 are a broad investigation into child psychology, psychoanalysis, pedagogy, phenomenology, sociology, and anthropology. They argue that the subject of child psychology is critical for any philosophical attempt to understand individual and intersubjective existence. Talia Welsh's new translation provides Merleau-Ponty's complete lectures on the seminal engagement of phenomenology and psychology.